Blog Sourcing Challenge Sponsored by @TheSocialCV Begins! Sourcing Challenge Sponsored by @TheSocialCV Begins! Bonus (used in case of a tie): Find as many as possible current employees of companies making search engines, who do not reveal any professional info on their twitter profiles. 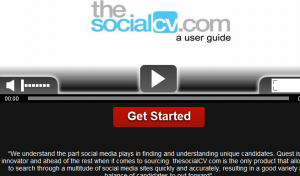 You should use TheSocialCV.com; all who sign up will get logins at 9MA Jan 31st. It’s also allowed to use other sources. Please send your entries (responses to the questions above) to contest@braingainrecruiting.com by Feb 6th. You can send additions and corrections if you like. Please explain your solutions. will be reviewing all submissions and will announce the lucky winner shortly after Feb 6, 2012.